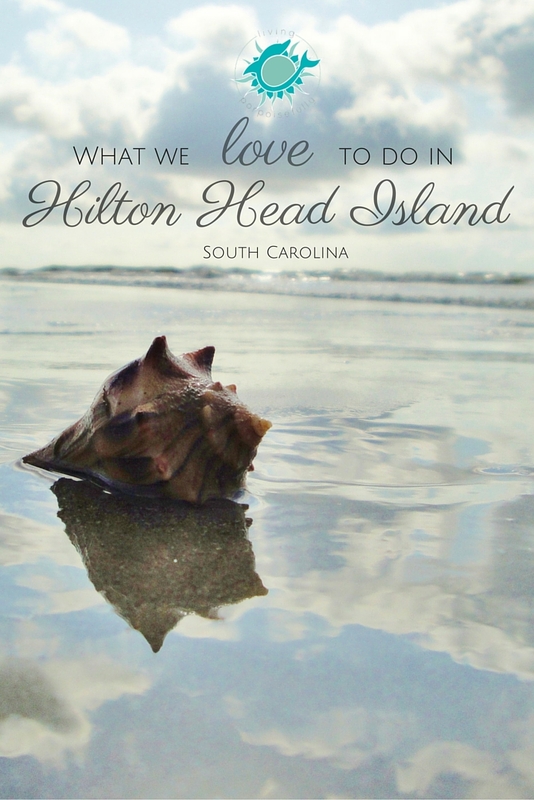 What is it about Hilton Head Island that we love so much? The beach, yes, but there’s so much more too. Summer is almost here, can you feel it on the horizon? We love the feeling that summer brings: a certain lightness and joy that only sunshine and happy times can bring! Summer vacations to the coast certainly can make for some of the best times, and our July 4th trip to Hilton Head Island, South Carolina didn’t disappoint. HHI is the perfect travel destination to get caught up on much needed leisure and adventure! One of our favorite parts about Hilton Head Island is, of course, the beach. It’s a much needed retreat, and as soon as we head up the path to the beach, it feels like we’re being welcomed by an old friend! The morning is our favorite time to go, with less crowds to be able to walk the beach and have the chance to glimpse wildlife. First of all, the dunes…ahhhh the dunes! We had to stop and try to capture the swaying sea oats with our camera lenses. Past the dunes on the shore, we saw all sorts of treasures, from whelk snails to hatched sea turtle eggs, a hermit crab, and even a blue heron! We couldn’t believe the views that the beach had in store for us. We got to see a different perspective of Hilton Head Island by horseback! It was a leisurely trail through trees, by a lake, and even by a field of bright yellow wildflowers. There’s something so enlivening about viewing the scenery from a horse — it puts you fully in tune with what’s in front of you and makes you notice and soak in much more than you would otherwise. Plus, being able to bond with the living, breathing animal that’s carrying you is so unique and momentous. If you’re going to Hilton Head Island, take some time to visit Harbour Town. It’s a sweet row of shops, restaurants, and views of the harbor and lighthouse. Soaking in the marina atmosphere, with the red-and-white striped lighthouse in the background is a treat for the senses day or night, and was such a relaxing way to wind down. For a fun day out, we found our inner kids and enjoyed a round (or two!) of mini-golf, cooled off with some ice cream, and painted ceramics at the Art Café (a sand castle for my classroom!). You can rent bikes and enjoy shaded paths under the huge live oak trees and by the beach. Whether you walk it or bike it, the paths are just a downright beautiful way to get your exploring on. Tip: In the summer, the morning or evening hours are the best for this temperature-wise. Since we went during July 4th, we got to see fireworks over the marina in Harbor Town! It was quite the show, and made for a very festive celebration of our nation’s independence. Of course, we took full pleasure in the occasional splurge of our favorite food in Hilton Head, from buffalo wings to the most amazing dessert (a blonde brownie concoction at Truffles Café). We also enjoyed browsing a few of the outlet shops in between our exploring, beachcombing, and much-needed napping. We love trips that are rejuvenating yet fresh with chances to explore, and Hilton Head Island did just that for us! Although there are more crowds in the summer (see our review of HHI in the winter here), it has all that we’re looking for in a getaway…and we will definitely be back. Oh thank you!!! This means so much to us! We’re ecstatic to know that you feel like you’re right there living it — that’s exactly what we aim for. Much love! !